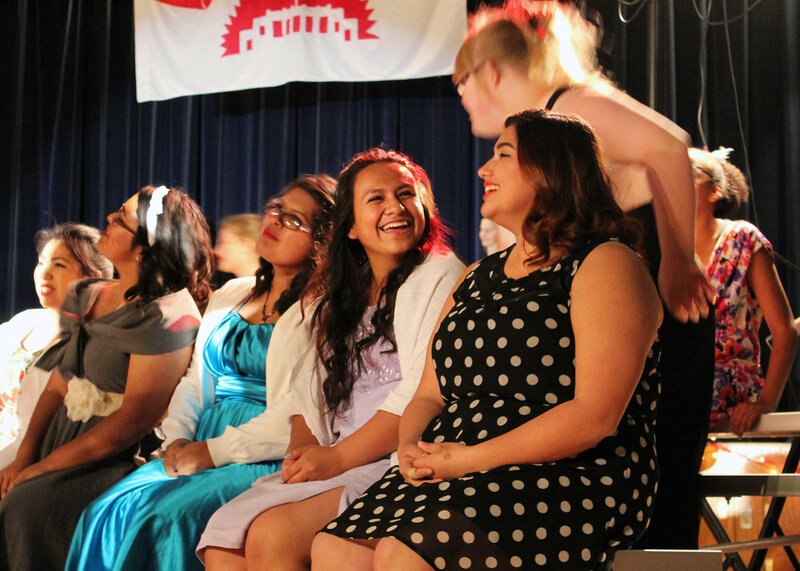 Bonsall High School offers a full music program including both vocal and instrumental music courses. Students receive support through academic courses which support individual and ensemble performances with an emphasis on continual improvement. Each of our programs provides a minimum of 2 opportunities a year for formal performances/exhibitions of work and multiple informal opportunities through our local community. • BHS Band Program: Two formal concerts in the evening including a holiday show and a spring show. • BHS Guitar Program: Group/individual ensemble performance in the fall and original composition showcase in the spring. • BHS Musical Theater program performs in 2 productions a year: A Fall Review designed by students and a Spring Musical, both supported by the BHS Stage Tech course. • BHS Sound Production: Students provide sample work and analysis of their work in Quarterly Portfolio presentations in October and March. According to the Music for All Foundation, California high school student enrollment in Music declined by 50% in the last ten years. We are committed to ensuring that all students have access to the benefits that Music education can offer and requires all students to take at least 1 year of performing arts to graduate. BHS Students at the USD Honor Band. Students have two musical instrument courses to choose from: Band and Guitar. These courses develop student musical talent through tapping into their personal interest in music and dedication to improvement through consistent practice. Guitar class offers an opportunity for both beginners and experienced players to practice and learn pieces from different genres throughout the year. Student perform for one another and for parent audiences throughout the year. Contact Emileigh LaGrange in the music department for loaner instrument availability. Congratulations to guitarist Ori Fine (pictured above) who was accepted to the Los Angeles College of Music in the Fall. BHS offers a small but growing band ensemble program to any students with prior playing experience.The band program is based on traditional band instrumentation: Brass, Woodwind, and Percussion. Contact Emileigh LaGrange in the music department to determine loaner instrument availability. BHS students experience choral music through a musical theater program which emphasizes student input in selecting musical performances, the foundations of dance and movement, and stage blocking. Students learn the key aspects of vocal performance while simultaneously learning to audition before professionals in the field and build confidence on the stage. Students perform a brief review of a musical in the fall and a full musical production in the spring. BHS provides a Stage Tech class to students who are interested in learning about the broader field of theater while experiencing hands-on the tools required to manage the technology of sound and lighting with performers. Students in the Stage Tech course run all aspects of a fall musical review and a full musical production in the spring.